Head into Spring with Bright, White Smile! 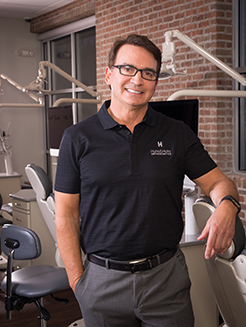 Your smile is one of the first things people notice about you, so you want to make sure to always put your best and brightest smile forward. This spring, keep your smile shining bright with just a few simple tricks and tips. Maintain good oral hygiene. There are a million reasons why keeping up your oral hygiene is extremely important, especially when you have braces, but good hygiene also leads to a more beautiful smile. Always make sure you brush your teeth twice a day, and don’t skip out on flossing! Braces can make it difficult to clean your teeth and gums that are in between brackets and wires, so at your next appointment make sure we show you the most effective ways to get at these hard to reach spots. Skip that extra cup of coffee or glass of red wine. Coffee, tea, red wine, and soda can all stain your teeth. In order to keep your pearly whites pearly and white, cut back on consumption of these beverages. Use a straw when consuming the above beverages. Sipping through a straw allows you to consume your favorite drinks without the liquid touching your teeth. This way you can enjoy any beverage without worrying it will stain your teeth. They even make straws that are specially designed for the consumption of hot beverages. Quit smoking. Besides taking an enormous toll on your health and causing severe problems like gingivitis and lung cancer, smoking cigarettes can stain your teeth brown. The more you smoke, the harder it is to remove these stains. Simply brushing is often not enough to get rid of the discoloration, so if you have stains from smoking you should consult one of our physicians on the best options to remove tobacco stains. Try teeth-whitening toothpaste. Ask Dr. Hutta for his suggestions on toothpaste that thoroughly cleans your teeth and helps prevent stains and discoloration. Whether you have just had a teeth-whitening procedure and want to maintain your results or you want to keep your gorgeous smile beautiful, these tips will help brighten your smile. The best part of working to keep your teeth white is that you will also be protecting them at the same time! Once you’ve had a smoothie, you’ve had them all, right? That’s what we thought until we came across Rodale’s Organic Life seasonal smoothie recipes. This month, we’re featuring their winter smoothie because it’s braces-friendly and a sure way to get your kiddo to eat breakfast. Notice that many of these ingredients are not braces-friendly in their pre-smoothie state. That’s what we love about this recipe—your growing teen is still going to benefit from these nutrient-dense foods even with their orthodontic appliances! Let us know what you think. If you like this one, we’ll be sure to feature the others as the year goes along. *Cook the carrots before blending them for their juice, unless you have a high-powered blender (800 watts or higher). Stay warm and healthy this winter! Elf (2003). It’s almost impossible not to smile at Buddy the Elf. Warm, good natured humor . . . it’s perfect for adults and the kiddos. White Christmas (1954). A certain member of our staff makes a ritual of watching this movie every year. The story is campy and predictable, but the songs are oh-so-memorable. A Christmas Story (1983). There’s a reason they play this movie on a 24-hour loop. No matter how many times we see it, the smiles just keep coming! The Nightmare Before Christmas (1993). This is one of the rare movies that people like to watch during the Christmas and Halloween seasons. With fantastic music and a heartwarming story, it’s certainly a different take on the traditional holiday movie. Miracle on 34th Street (1947). You know it’s a good holiday flick when even the hardheaded adults start to believe in Christmas magic. It’s a Wonderful Life (1946). This movie is always a helpful reminder about how one life can affect so many people. Christmas Vacation (1989). Sure, it’s completely unrealistic, and that’s what Christmas movies are all about! Clark’s misery brings us laughter, and that’s the best holiday medicine. We highly advise you to brush your teeth after enjoying Halloween treats. This allows your braces and teeth to stay healthy and clean and will keep you on the right track toward completing your smile journey! Brushing your teeth also helps to clear away lingering sugars that create cavities. 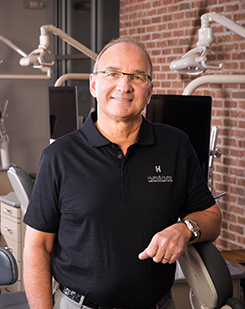 Once your braces are removed, you will be left with a beautiful smile to last a lifetime. So giving up sticky and hard candies for the holiday will be well worth it in the end! Flowers, hearts, and most-importantly, chocolate-filled, days are right around the corner with Valentine’s Day coming up. Trying to find sweet treats that are compatible with braces isn’t always easy, but below is a recipe for a Valentine’s Day “braces-friendly” cupcake recipe. Directions Cake: Mix all ingredients together until well-blended. 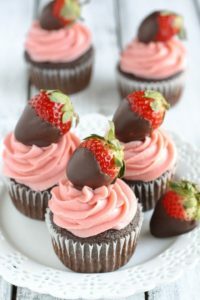 Put in cupcake cups and bake for 20-25 minutes at 350 degrees F.
Frosting: Place the strawberries in the bowl of a small food processor; process them until pureed. Beat together butter and salt on medium speed until light and fluffy. Reduce mixer speed and slowly add confectioners’ sugar; beat until well combined. Add vanilla and 3 tablespoons strawberry puree, mix until just blended. Frosting consistency should be dense and creamy, like ice cream. For an extra treat, garnish with a chocolate-covered strawberry on top! Did someone say sugar? Take a break from the turkey and the gravy this Thanksgiving, and dive into one of our favorite, orthodontist-approved sweets that the entire family will love! This sugary delight settles the craving after a nice holiday meal, but keep in mind that the sugar may stick to braces and influence the growth of cavities. So let’s be proactive and brush our tongue and teeth after these satisfying treats. A very happy and safe holiday to you and yours! In a small pot, stir the oats, water, and almond milk together and bring to a boil. Reduce heat and simmer for 10 minutes until creamy. Meanwhile, in a small bowl, mash the banana and stir in the pumpkin purée and maple syrup along with the pumpkin pie spice, cinnamon and sea salt. 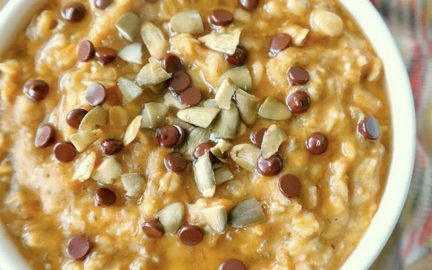 Turn off the heat and stir the pumpkin mixture into the oats with the optional chia seeds. Mix until well combined. Tip: Add extra almond milk at the end to make it a little creamier! We always stress the importance of maintaining proper dental hygiene throughout your life, especially since good hygiene is never more important than it is when you are dealing with braces, expanders, retainers, and other orthodontic appliances. However, we know that you probably don’t look forward to your morning and evening teeth-cleaning routines, so here are some tips and tricks to help you improve your dental hygiene without extra hassle. Apples are known as “nature’s toothbrushes.” When you bite into apples, the firmness helps remove bacteria from your teeth, and the same is true for other firm and crisp foods like raw carrots and celery. Try to finish your meals with these foods to help cleanse your mouth after you eat. If you have braces, make sure to cut up these foods into smaller bites so that they don’t damage your brackets or wires! These foods provide nutrients to your body, as well as make it easier to rid bacteria from your mouth when you brush your teeth. You know the bumpy backing you see on many toothbrushes? That is a tongue scraper and it’s used to help keep your tongue clean. Just like your teeth, your tongue can harbor plaque and bacteria. It’s easy to forget to clean your tongue because we focus so much on the teeth, but having a plaque- and bacteria-free tongue will keep your breath fresher and your mouth healthier. Most bad breath is caused by a bacteria buildup on the tongue and the bristles on your toothbrush are not effective for cleaning it, so make sure you are utilizing the tongue scraper on the back of your toothbrush. By just scraping your tongue once a day, you will notice fresher breath and a cleaner smile. To maintain proper dental hygiene, it is necessary to brush your teeth for a full two minutes twice a day. We’ve noticed that many of our patients who brush every day still don’t brush for long enough when they wake up or go to bed. Our new favorite app helps combat this problem; it’s called “Brush DJ.” Brush DJ is an app that plays random music from your phone or iPod for two minutes while you brush your teeth to make sure you are brushing for the correct amount of time. Many of us have heard that singing “Happy Birthday” in your head twice over while you brush your teeth is the approximately the correct 2-minute period, but it can get a little boring. With Brush DJ you can listen to your favorite songs and have a dance party every time you brush your teeth. The app also reminds you when to floss, when to use mouthwash, and when you should schedule your next teeth cleaning with your dentist. Brush DJ is a fun way to help you keep your mouth healthy and your smile bright by correctly timing out how long you are brushing your teeth. Keeping your mouth clean and bacteria-free is essential for having a healthy mouth. While the few minutes you spend working on your oral hygiene may not be your favorite part of your day, we hope these tips will help you keep your mouth healthy with ease. Easter dinner wouldn’t be complete without a delicious dessert shared amongst family. Making a dessert for the whole family when some members have braces can be a challenge, but we have a great recipe for the perfect Easter cupcakes. The best part? They’re just as fun to make as they are to eat! Begin by frosting your cupcakes with plenty of white frosting. Then cover the entire surface with the shredded coconut. To make the ears, cut the large marshmallows into slices and pinch one end of the slice into a point. Push the ear into place on the cupcake, and repeat for the other ear, and then sprinkle pink sugar or pink sprinkles onto the center of the ear. For your bunny’s face, use chocolate chips for eyes and a pink jellybean for the nose. Your cupcake will be so cute you won’t want to eat it! It is also important to remember to avoid putting candies and treats that can damage braces in your children’s Easter baskets. Any candies that include nuts, sticky caramel, or are especially hard can cause problems on braces – so this Easter, stick to soft chocolates! Ready for Braces? Have a Pre-Party! Get your kids excited for braces: have a “pre-party” for their teeth! Your kids are excited to start working their way toward straighter teeth, but they might not be thrilled to have to give up some of their favorite snacks. We have some tricks for you to get your child ready for the day they first get their braces on – throw a pre-party for their teeth! Plan a day full of meals made up of the foods that your kids will have to take a break from once they have their braces. Consider serving up foods that are crunchy or chewy, maybe even some sweet treats as well! Classics like popcorn, corn on the cob, even caramel apples will bring an extra big smile to your child’s face. Remember that even food that is “braces safe” can’t be eaten in traditional ways when your kids have braces. We recommend that when braces are involved, pieces of pizza should be cut up into small pieces to make chewing them safer for braces. So at the braces pre-party, let your kids eat pizza the old fashioned way! Bagels – this favorite can easily bend the wires in their mouth, so let your child savor a few last bites of bagel and their favorite topping (butter, cream cheese, peanut butter, etc.) before they need to take a break from this breakfast! Pizza – without having to cut it up! Pizza crust and braces don’t mix, so let your kids have all of the crust they want on this day. Apples or pears – there should be some healthy food during the braces pre-party too! These fruits are always fun to bite into, but those bites can be very damaging to your child’s braces. Chicken wings – (with the bone) or ribs. Let your child bite into a juicy wing or rib one more time before they get their braces. Corn on the cob – corn off the cob is fine with braces, but it can be an extra special treat to eat it straight from the cob. 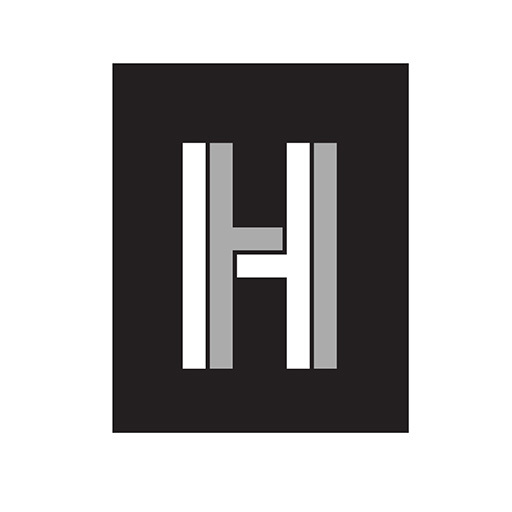 Hard cookies – these can also damage equipment, so let your kids enjoy them one more time before they get their braces. Give your kids a special surprise by having their favorite non-braces foods ready for them after dinner while you play their favorite game or watch their favorite movie. After this party, your kids will be more than ready to get their braces on and get started working toward their perfect smile. To keep going with the fun, plan a post-braces party with all of the same snacks!